What better time to celebrate indigenous ingredients than at Christmas? 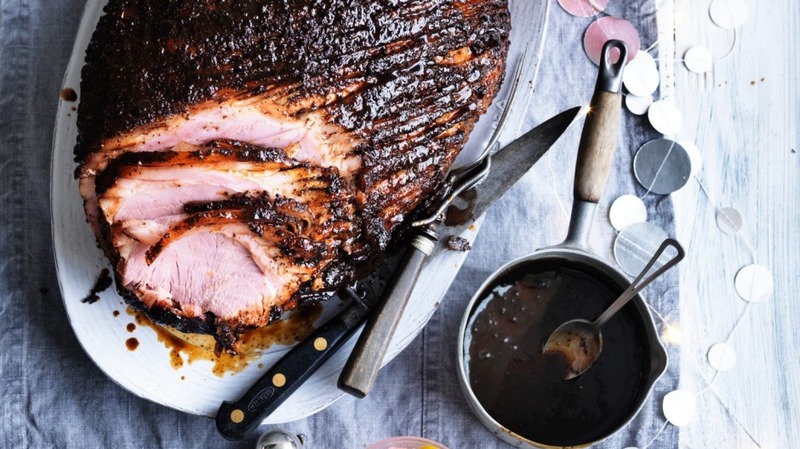 This simple glaze uses native lemon myrtle and aniseed myrtle for a very Australian Christmas ham. Ham really is simple; it just needs to be warmed through with a glaze on the outside. Choose the right size for your number of guests and your halfway there. 1. Combine all the ingredients except the ham in a saucepan and bring to a simmer. Cook for about five minutes, until thick and glossy. Allow to cool to room temperature, then remove the star anise. Serve with Adam's Campari frose punch and Chrissamisu!